Who could forget Halloween? It's a classic horror movie worth watching every year, and is one of the most frightening films ever made. Jamie Lee Curtis stars as Laurie Strode, a babysitter who is being pursued by an escaped mental patient. The patient, Michael Myers, murdered his sister in cold blood 15 years earlier on Halloween night. 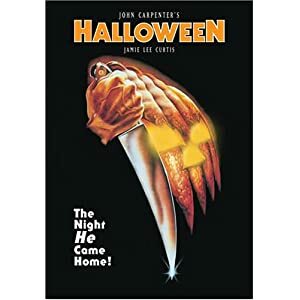 Halloween is a horror movie that is really worth watching. It is delightful while being morbid, that’s why I never get tired of watching it again and again. This film is written, musically scored, and directed by the great John Carpenter.